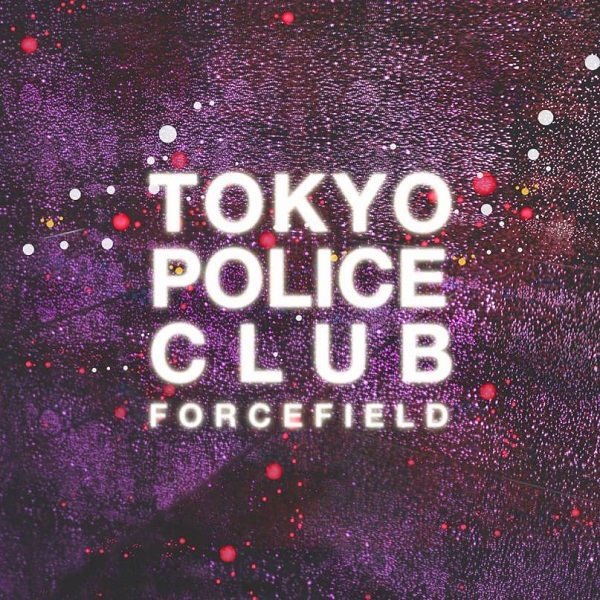 Tokyo Police Club fans wouldn’t be entirely in the wrong for not liking “Forcefield” right off the bat. The band — hailing from Ontario — has always been daft at creating punchy indie pop songs at a furious pace, which has represented a sort of a trademark for them in the past. Their debut was especially fast with a majority of the songs clocking in at just over two minutes. It’s like they were a bizarro Bloc Party without all the post-punk dreariness. When the group then released “Champ,” songs like the Americana-influenced “Favourite Food” and the new-wavish, indie-revivalist-tinged “Breakneck Speed” signaled TPC’s progress into a band that was less concerned with playing fast and furious, and more into a band that fell in love with the art of true alternative rock. “Champ” was different, but then it grew into a song fans mimed air-guitar-style to, especially to the dazzling outro solo on “Favourite Food,” because it was that good. And that’s the emotive feeling that’s intrinsically felt on their third full-length LP in “Forcefield,” which is set to be released this March 25 on Mom + Pop Music. The eight-minute epic of an opener, “Argentina (Parts I, II, III),” kicks off the album in true TPC fashion, as David Monks’ mollifying voice makes his well-awaited reappearance known amidst the spinning of halcyon guitars. I say “well-awaited reappearance” because the band took four years, ostensibly, off between “Champ” and “Forcefield,” which, in the music industry, is quite a long time. “Champ” actually charted as high as number 56 on the Billboard 200. Whether it will kill what hype they had coming into their third album remains to be seen. The opener is quite daring, as it seems that the band has listened and responded to their own criticism over the years about their songs being too short in length. Their answer results in a long-winded, but ultimately rewarding, epic of a song with an absolutely splendid breakdown at around the 4:10 mark that, just for a momentary second, takes TPC back to 2008, dancing around their own sentiments with breakneck speed and a post-punk attitude to back it all up. “Hot Tonight” is a melodic, radio-ready single with a catchy chorus. Then, “Miserable” finds the outfit traveling back into the 1980s for inspiration, as shimmering synths and keyboards usher in a blithesome atmosphere. On “Toy Guns” and the retro-inspired “Through the Wire,” the band trades in their indie rock disposition for pop sensibilities, and the songs come out surprisingly well. Sure, “Forcefield” is all shimmer and more Top 40 than a hipster dive bar, but it’s a promising sign of growth for the ever-evolving Canadian quartet.